Photo courtesy of Cacao Prieto. My souvenir of choice is a nice bar of chocolate. It doesn't take up too much space in my suitcase. It doesn't take up any room on my shelves. Even the fanciest bar is relatiely affordable. And it's low commitment — I've yet to experience buyer's remorse for the sweet stuff. I tend to lean dark, searching for the highest percentage of cacao, and can't resist a beautifully designed wrapper. (Many thanks to Mast Brothers for upping the chocolate industry's branding game.) A chocolate bar makes a lovely gift (and an excellent last-minute Valentine). You don't need to wrap it — or even travel to find it. The world's best small-batch bars are available online. 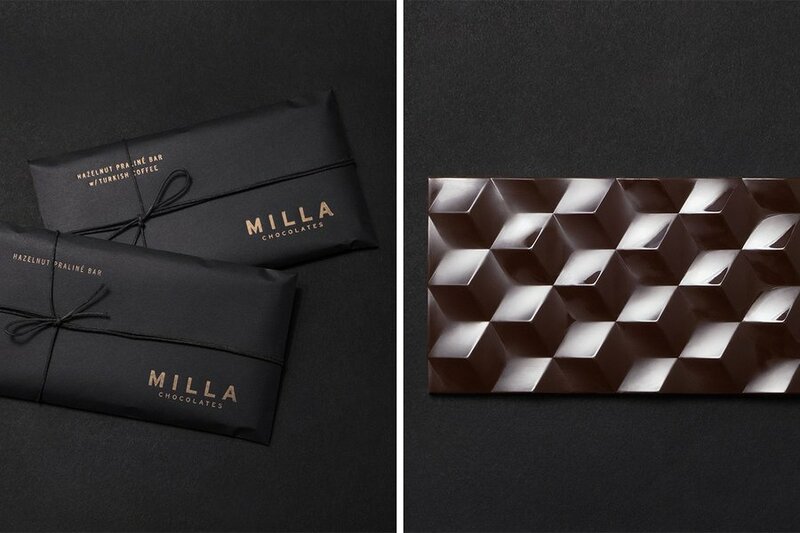 Handcrafted in Los Angeles, Milla Chocolates uses a combination of dark and milk chocolate cast in a three-dimensional geometric pattern and layered over a delicious praline paste. The black Kraft paper packaging is simple but elegant with gold stamped lettering and a delicate waxed black cord. Brooklyn-based chocolate manufacturer Cacao Prieto uses the finest organic, single origin Dominican cacao harvested on the founder’s family farm. 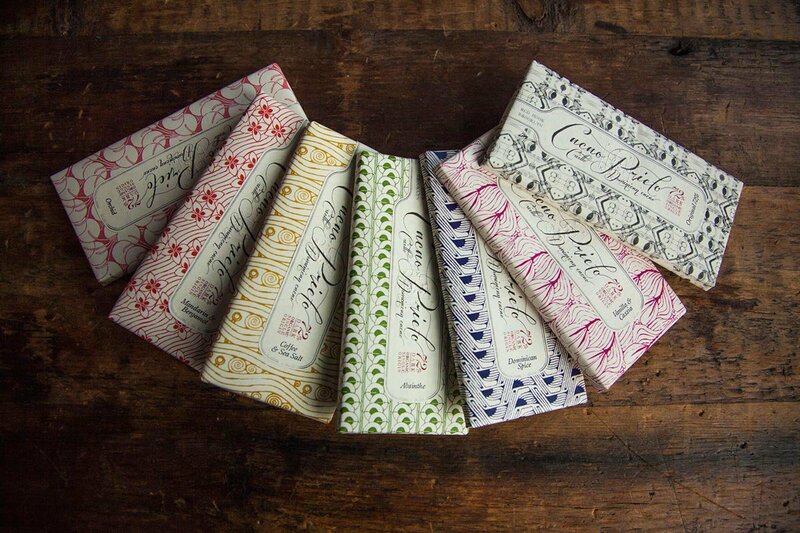 The artisan chocolate line features a variety of cacao percentages and unique flavor combinations, like mandarin bergamot and Dominican spice, each wrapped in beautiful house-printed paper. Iceland's first bean-to-bar chocolate label was started by Kjartan Gislason, a chef with nearly two decades of experience and a desire to experiment with the world's finest beans. Unique flavor combinations include dark milk wth burned sugar and licorice with sea salt. Playful packaging features designs by digital artist Andre Ulfur Visage and a brand name inspired by the sounds of Sesame Street's Cookie Monster. 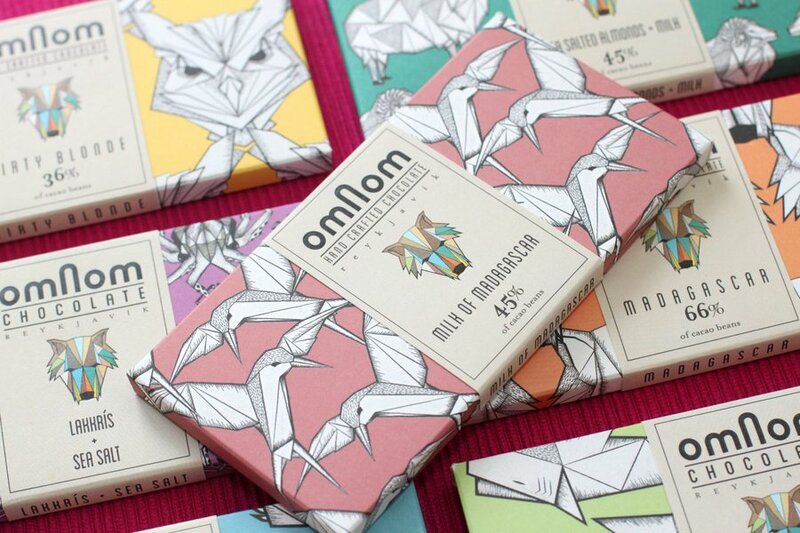 The burgeoning chocolate label calls a small town on the Eastern side of Lithuania home. Founder Domantas Užpalis set up shop after the international financial crisis made finding a job in Lithuania very difficult. 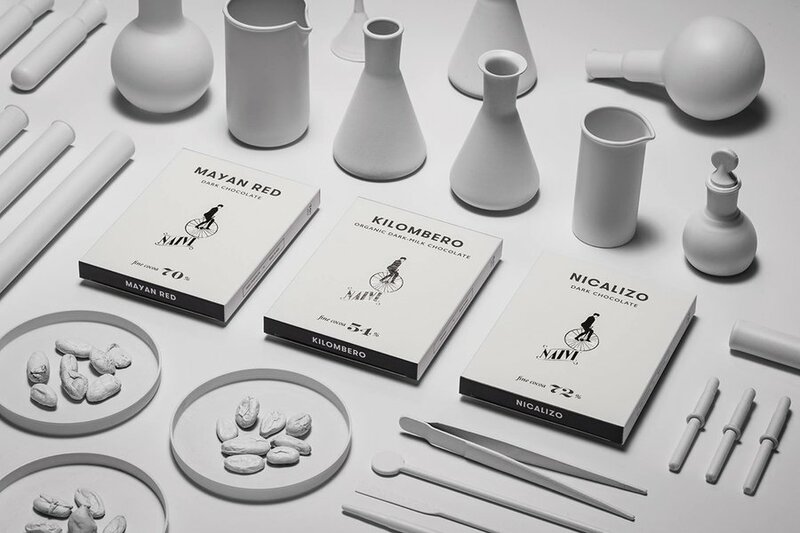 His use of simple ingredients and traditional methods result in a complex but delicate bar that comes in a variety of flavors wrapped and printed with the unicycle logo. 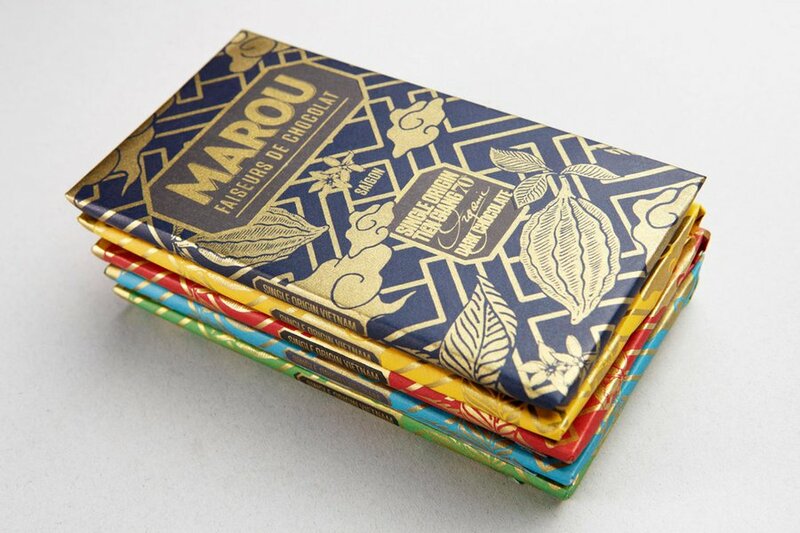 If you like the idea of a grassroots operation, opt for Marou Faiseurs de Chocolat, a single-origin chocolate maker based in Ho Chi Minh City, Vietnam. The owners know their cocoa farmers by first name and pay them directly, cutting out the cost of intermediaries. Each bar is named for the province where its beans originated and comes wrapped in hand-printed paper inspired by traditional Vietnamese lattice patterns.